Historically rich Florence was established in 1866, with an early economy that was based in agriculture. Nine years later silver was discovered at the Silver King Mine and Florence became the government seat of the newly formed Pinal County. Over the ensuing years Florence played an important role as a regional administrative center for all federal land transactions for Southern Arizona, and the canal boom in the 1880’s enabled water from the Gila River to be diverted for irrigation. Over time farming and ranching again played a major role in Florence’s economy. The Arizona State Prison moved to Florence in 1908, replacing the Territorial Prison in Yuma. Inmates were shipped from Yuma by train to build the prison and lived in the surrounding desert during its construction. Throughout its history, Florence’s architecture evolved from rustic Sonoran adobe brick buildings to the Modern Movement. 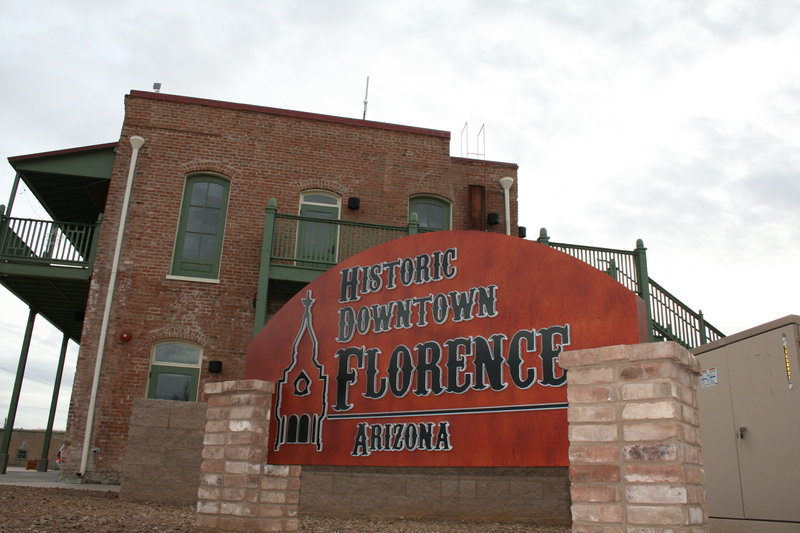 Florence is noted for its collection of adobe buildings, the earliest dating back to 1868, and all the architectural styles that existed in Territorial Arizona can be found along the streets of Florence today. The Florence Historic Home Tour offers us a great opportunity to explore one of Arizona’s oldest towns, and several of Florence’s historic homes and buildings. Stroll charming Main Street—hop on, hop off the bus—and enjoy lunch on self. Educational, interesting and loads of fun, this is a tour you won’t want to miss!